The Lucci remote control is a stylish, high quality remote control pack with a great clear LCD digital display and good functionality. It is universal and the receiver should fit most AC Hunter and other brand ceiling fans. 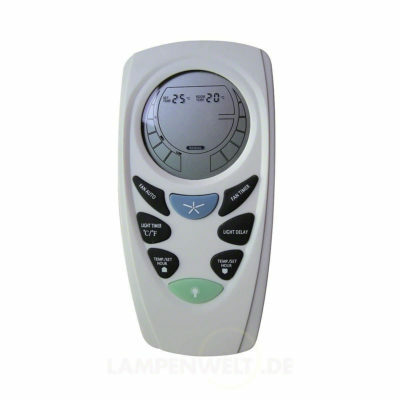 The Lucci remote control is a lovely, stylish, high quality remote control pack (comprising remote and receiver) with animated clear LCD digital display. 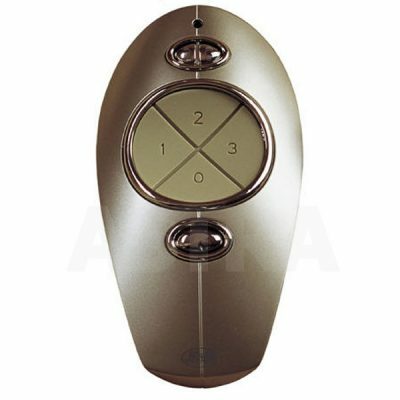 It is a universal remote with many useful functions and works with all the AC ceiling fans that we sell. 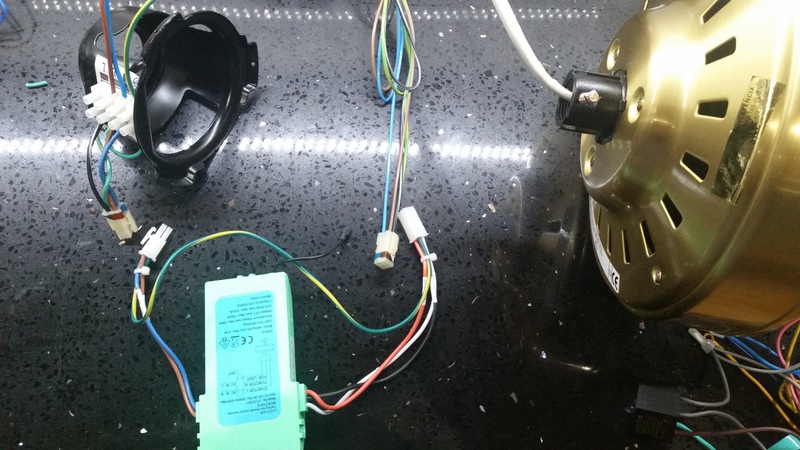 It should also work on any AC ceiling fan subject to there being sufficient space in the canopy for the receiver but we have only tested it on the fans that we sell. 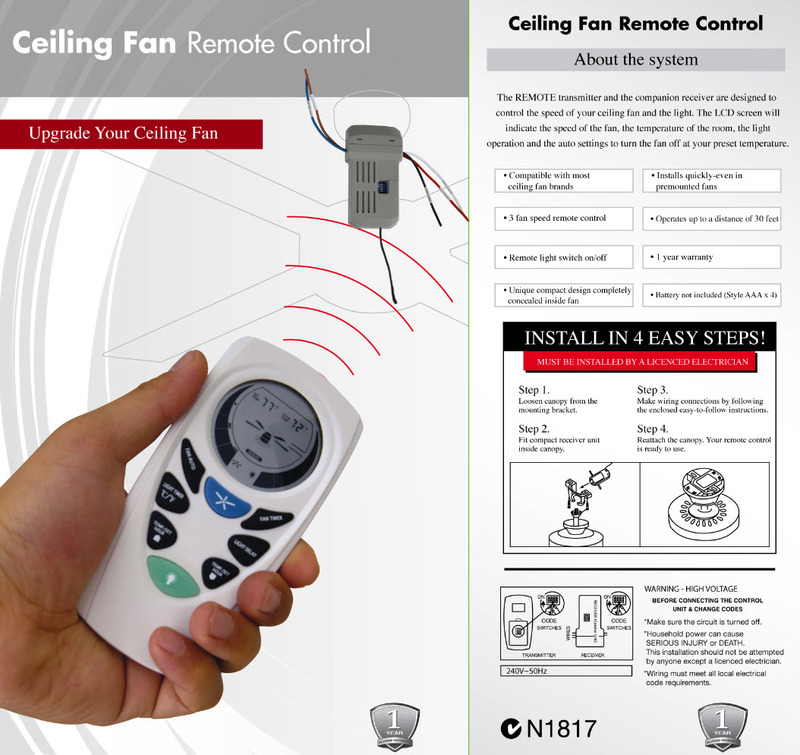 The remote transmitter and companion receiver are designed to control the speed of your ceiling fan and light. 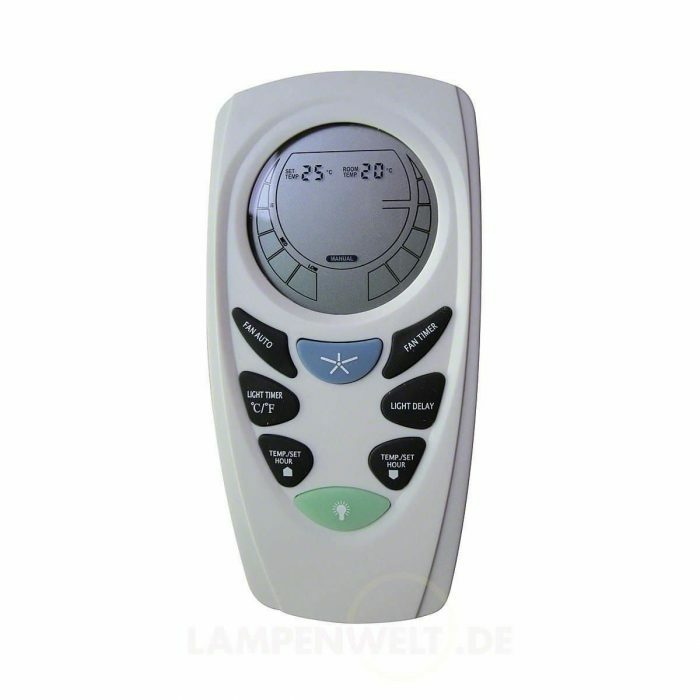 The LCD screen will indicate the speed of the fan, the temperature of the room, the light operation and the auto settings to turn the fan off at your preset temperature. 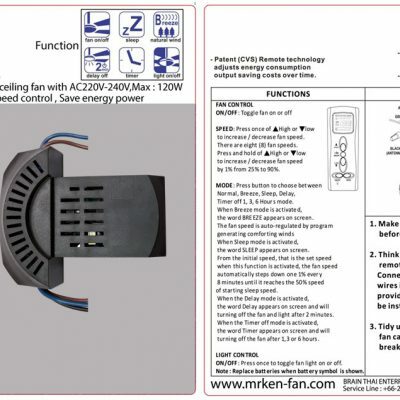 NB: Picture shows just the remote control transmitter only and not the receiver which has to be connected inside the fan canopy. This is deliberately designed to be a tight fit to avoid vibration causing damage to the receiver. ***Beware: The latest model of this receiver means it is now about 2mm too tight to fit in most models of Hunter fan canopies. You can still use it in a Hunter fan but will have to file a little bit off the canopy or remote casing in order for it to fit. So long as this is done professionally ie a few mm and curved with no sharp edges this will not invalidate you warranty. 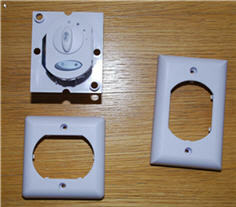 The Lucci remote control and receiver are manufactured by Beacon Lighting. So when installing the quick-fit snap connector blocks will only fit Beacon brand fans. For all other fans your electrician will need to cut the quick snap connector blocks off from both sides of the receiver and the corresponding two on the fan so that they can be connected or soldered using either a new terminal block, Wago or other standard electrical connectors. Simply keep the cabling consistent in and out of the receiver. 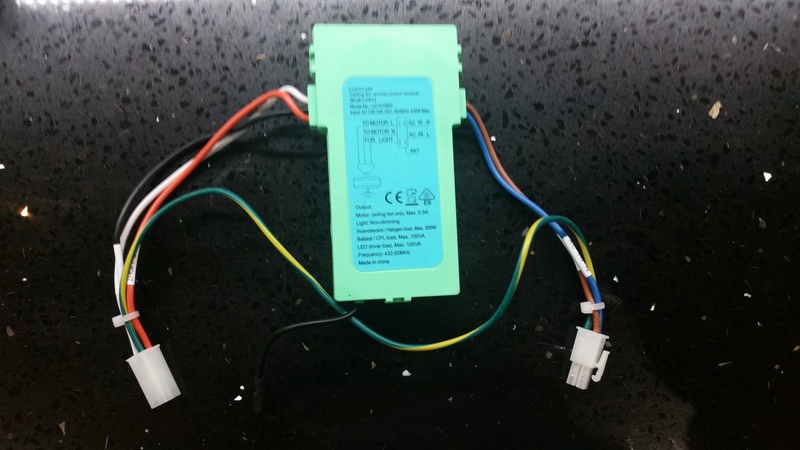 All the wires are clearly labelled on the Lucci receiver so even without the pics below any competent electrician can easily work it out and will only have problems when they don’t bother to think or read this – which can happen as we do get calls from time to time. This is the receiver before installation showing the wires in and out – Note that all the wires are clearly labelled since wiring standards and colouring varies from country to country. This shows the Lucci receiver Hunter fan (this is a Savoy but same for any Hunter fan) – showing where the snap connectors sit before cutting the blocks and connecting the wires. 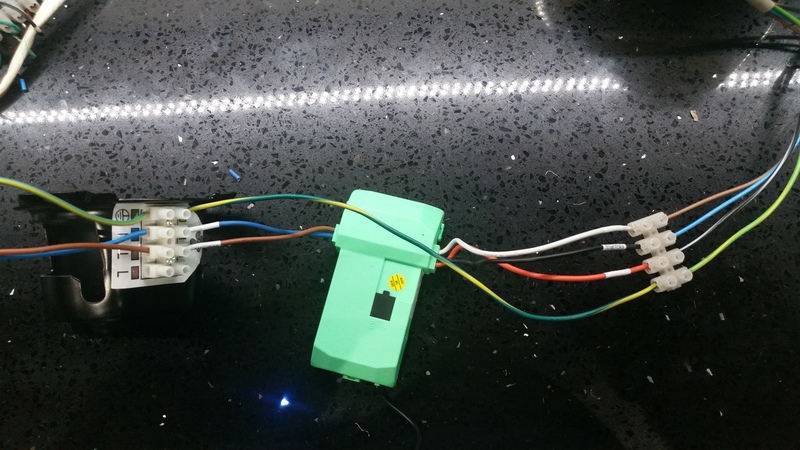 This is now showing the wires connected using terminal blocks. 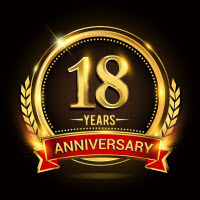 They can be soldered or connected with any standard electrical connectors such as Wago or twist connectors depending on the local electrical standards to your country. Once this is done you need to check that it works by using the Lucci hand remote to see that all speeds work fine. You can then fit it to the ceiling and fit the T-shaped receiver into the hanging kit – most ceiling fan hanging kits are designed to accomodate receivers such as this which are all a standard size. 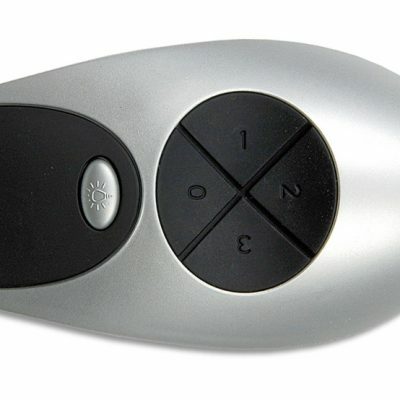 The fit is deliberately designed to be tight to avoid any wobbling and shaking that would damage the remote.